WARNING: If you believe you have nothing to discover about Marketing your Hospitality business and increasing your Direct Bookings in 2019...stop reading now. However, READ ON If you want to Take Back Control of your Hospitality Business TODAY by Ditching the Greedy, Commision Grabbing OTAs and 3rd party Booking Websites, Slashing Monthly Costs, Ballooning your Bottom Line and Being your Own Boss Again. Are you ready to join #TeamBoostly ? I want you to take a second, and imagine this alternate scenario for your business in 2019. 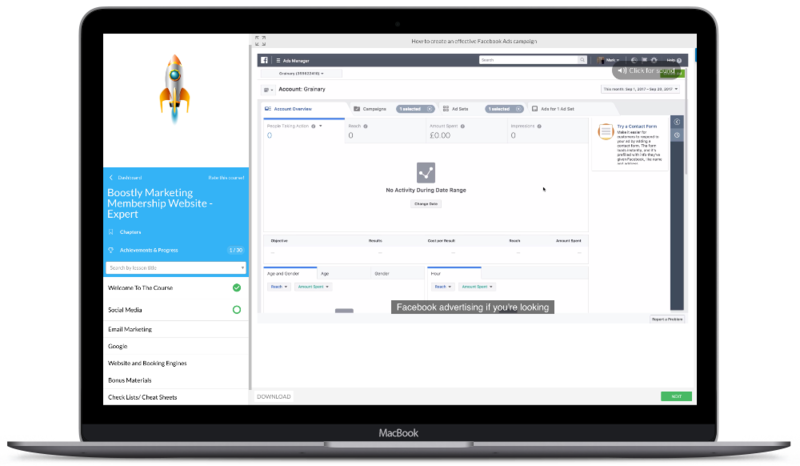 NEVER having to depend on OTA’S or 3rd party booking websites again to hit your occupancy targets. Meaning no more sleepless nights stressing if you’ll fill your rooms. Doubling your direct bookings (at least) at your property in 2019. Slashing commission costs you grudgingly fork out every month. Climb the ladder on review sites and stand out in your area as one of the top places to stay. Stay ahead of the ever-increasing competition, so next year occupancy numbers will never be in doubt. Knowing you’ve a proven marketing strategy in place for a profitable business which you can sell on, pass down to your children or generously fund your retirement. Being in full control of every aspect of your business and never needing to depend on others again. "Mark came along at just the right time"
"There's all the tips and tricks you need"
Marketing a hospitality business in 2019 is an ever changing skill, and keeping up to date with the latest technology and techniques can be overwhelming. That's where Boostly Academy comes in. Learn how to use all the best tools to promote your business in easy to follow step by step training videos guides to give your hospitality business the boost it needs to stand out above the crowd. "I can work on the training at my own pace and in my own time"
I can help you focus and put a plan in place that will have an immediate impact on your business. It doesn't matter what skill level you are at, there are training videos and help for you. What is the Boostly Academy? Boostly Academy is the ONLY Hospitality Training Portal in the world that has been created BY hospitality professionals FOR hospitality professionals. It's been put together with the sole purpose of getting ‘heads on beds’, taking control back from greedy, commission stealing OTAs and 3rd party booking sites and giving our members 100% control of their own business without having to depend on others for occupancy rates. What are the top three things I will get from the Boostly Academy? I'll level with you. You’ll get so much more out of Boostly Academy than just 3 things. However , as you've put me on the spot I have to say: 🚀Increased direct bookings and dramatically reduce your commission costs 🚀More money in your personal bank account 🚀Becoming a Marketing Master for your own property and beyond. Ok, I’m sorry, I have to add one more. 🚀Being part of the Exclusive Boostly Academy community who’ll guide and support each other 24/7 so you’ll reach the top. Can’t I just learn this Marketing stuff from the internet? Yes and No. Of course, you can learn anything from the Internet, however, without guidance and support the chances of getting anything out of it is extremely slim. Instead, you’ll probably find yourself just wasting hours, months and years trying to find anything which will specifically help for our industry. I’m a complete technophobe how would I even start to understand this? Again, Boostly Academy is designed for self confessed Technophobes, who are any age. Listen, if you can operate a smartphone or a washing machine you’ll have no problem at all. And remember you have full support to both myself and the Boostly Community to guide you through. You say lifetime access but what if Boostly Closes down? I don’t have a spare minute in the day, how will I fit it in? I know from running my own property time is precious. With that in mind our step by step videos can be picked up whenever you have a spare 15 minutes. Most of our members commit around 1-2 hours a week at the start. I’m telling you now, if you really break down your routine you’ll be able to find 60-120 minutes. Especially when it could be the difference between your business being a success or failure. I haven’t got the funds, how can I afford it? I do. 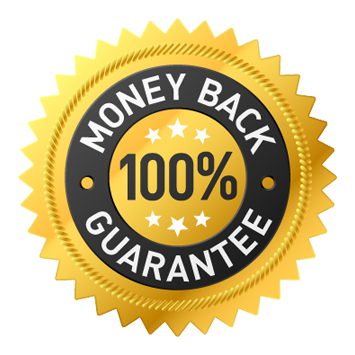 I’m so confident in Boostly Academy and what I can do for your business there is 100% money back guarantee when you join. Here’s how it works. If you sign up today, and over the next 12 months complete the training at the Boostly Academy and have not seen improvements in your direct bookings, cutting of your costs and bottom line and the Academy hasn’t paid for itself then I’ll gladly send you back ALL the money. This makes us risk free. If fact, the only risk is not signing up and your business staying exactly the way it is, or worse. "The Direct Bookings Have Increased Significantly"
I know that the techniques, tips and templates provided in the Boostly Academy are the best in the world and your bookings will increase! If you don't begin to see a return on your investment then I will give you 100% of your money back, no questions asked! Are you ready to "Double Your Direct Bookings?"